Letter: Time to get Harborough’s traffic light priorities right! Isn’t it about time somebody rectified the sequence of lights at the Welland Park Road/Springfield Street junction with Northampton Road? It was at a gridlock at 7.30am today (Friday, September 28). With the extra stores at the bottom of Springfield Street, plus all the industrial estates off Rockingham Road, most traffic uses Springfield Street. Time to get priorities right please. 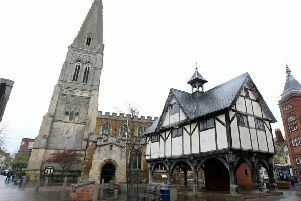 Letter: Another Harborough town centre closure!